I’d love for you, your family and friends to consider a new set of swimming, play, fitness and community engagement events slated for August and detailed at a website I just launched. We are holding drop-in practices for the next 2 weeks at Citiparks Ammon outdoor pool in Pittsburgh’s Hill District neighborhood from 3:30 to 5:30 pm on most days. This is a few blocks up from PPG Paints Arena where the Penguins play, central the to the city. See the calendar and sign up there. Come on out and bring a team too. 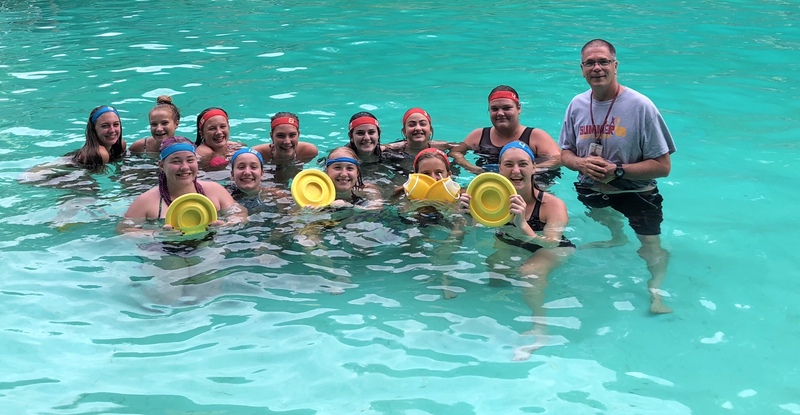 Last night I had fun playing the water disk game, SKWIM, with a championship girls field hockey team and its coach. See my Facebook page. 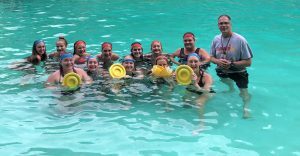 Rowers, hoopers, triathletes, and video-game players can give SKWIM a go. Furthermore, we are gaining participation in club water polo efforts with the help of South Park Aquatics. Kids from the city, Mt. Lebo, South Park and Elizabeth Forward are all doing it now. More from Peters, Bethel and elsewhere are expected next week. Coming to Highland Park Pool. Lastly, on Saturday, September 1, 2018, NCAA Men’s Water Polo games are slated for Citiparks Highland Park Pool between Washington & Jefferson, Penn State, Gannon, Mercyhurst and our Pittsburgh Masters team, Renegades. See https://Renegades.4rs.org. Free admission. Save the date. I’d be happy to coordinate to see you and your group at the pool this month. Call or email me for any additional insights.